Prince Harry and Meghan Markle have announced some of the performers who will appear at their wedding. The couple have chosen a number of choral groups, soloists and musicians to perform at the service, which will take place at St George's Chapel on 19 May. Cellist and BBC Young Musician 2016 Sheku Kanneh-Mason is among them, as is Welsh soprano Elin Manahan Thomas. The music will be overseen by James Vivian, the chapel's director of music. Kensington Palace revealed in a string of tweets that the couple had taken "a great deal of interest and care in choosing the music for their service", adding the music chosen would include a number of well-known hymns and choral works. Mr Kanneh-Mason tweeted in response saying he was "excited and honoured" to perform at the wedding. 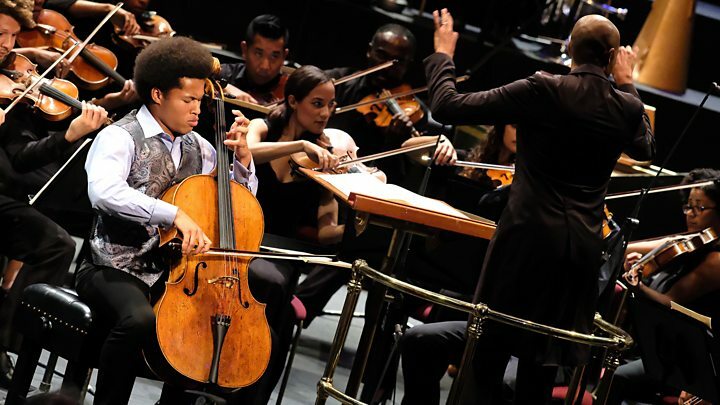 The cellist played for Prince Harry at a fundraising event last year for the Antiguan charity the Halo Foundation. The 19-year-old also revealed that he received a phone call from Ms Markle herself, asking him if he would play during their ceremony. "I immediately said yes!!! What a privilege. I can't wait!" he tweeted. 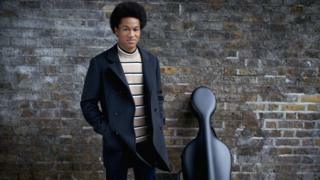 Kanneh-Mason has scored the biggest-selling British debut of the year earlier this year with his classical album, Inspiration, and is due to play the BBC Proms this summer. The Kingdom Choir, led by Karen Gibson, will be among the choral groups to perform at the wedding service. Gibson said they were honoured and excited to have been picked. "It will be a moment that we will always treasure," she said. The Christian gospel group have previously performed at a memorial service of Stephen Lawrence. Both Prince Harry and Ms Markle attended a service on Monday to commemorate 25 years since Stephen was murdered in a racially motivated attack in London. Soprano Elin Manahan Thomas will also perform with an orchestra - to be conducted by Christopher Warren-Green - made up of musicians from the BBC National Orchestra of Wales, the English Chamber Orchestra and the Philharmonia. Thomas told BBC News: "I'm thrilled to have been asked to sing at such a momentous occasion. It's always an honour to be invited to be a part of a wedding, and getting to share in a couple's big day is very special. "I know that the eyes of the world will be on Windsor on May 19th, and I wish everyone involved all the best in the upcoming preparations!" Meanwhile, Decca Records, an imprint of Universal Music Group, announced it will release a recording of the wedding ceremony. The company said it would be releasing the audio of the event on streaming services on the day, with a physical release to follow.